“According to some historians, the majority of Japanese born in the United States can trace their ancestry to a picture bride.” (LA Times) Between 1907 and 1923, over 14,000 picture brides arrived in Hawaiʻi from Japan. One such picture bride became Osame Manago. At the age of seventeen, she left Japan and came to the Islands and married Kinzo Manago – settling in South Kona on the Island of Hawaiʻi. A few years prior, Kinzo left Japan to go to Canada and learn English. He and several friends departed for Honolulu, where they expected to board a boat for Canada. One of the friends gambled away the money and they were stuck in the Islands. 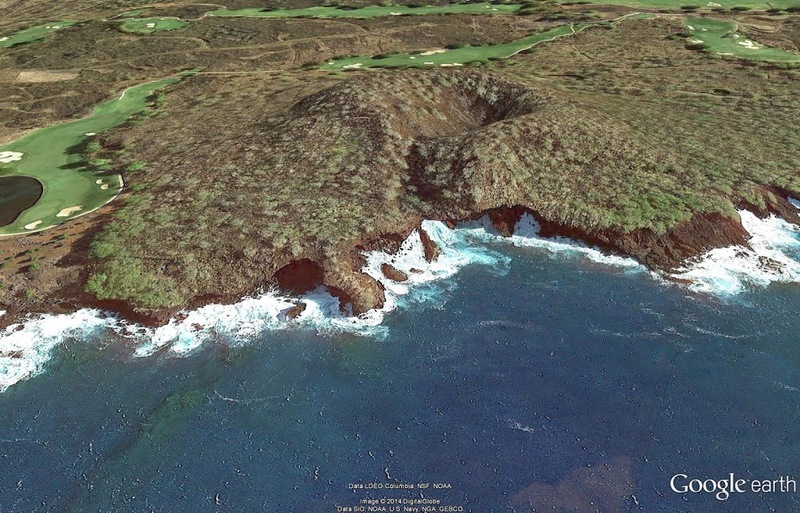 Kinzo discovered that he had a relative on the island of Hawai`i, so he took a steamer to Kona. Shortly thereafter, Kinzo began working as a cook, which is how he earned enough money for a picture bride. 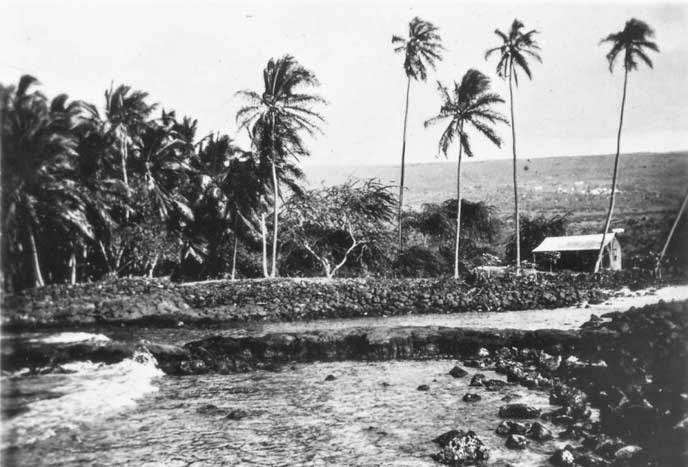 At first, following a proxy ceremony in 1912, Osame stayed with her husband’s family in Japan until she could book passage on a ship to Honolulu. The couple went through a second ceremony at a nearby Shinto temple. At first, Kinzo worked full time chopping firewood. In 1917, he borrowed money from his former boss and purchased a two-room house, a cook stove and supplies. The couple set aside one room for their own use. In the other, Osame served homemade bread and jam to taxi drivers traveling from Kona to Hilo. This marked the beginning of the Manago Hotel. As they were able, the couple added rooms and a second floor while expanding food service to include full meals and sake. For those who chose to spend the night, the Managos charged $1.00 to sleep on a tatami mat. During World War II, the military contracted Kinzo and Osame to feed the soldiers who, at the time, occupied Konawaena School. The hotel was turned over to Harold and Nancy Manago, the 2nd generation, in 1942; after the war, Harold purchased the land beneath the hotel to expand in acreage and guest rooms. Harold and Nancy managed the business for 42 years. Then in 1984, their youngest son Dwight and wife, Cheryl, took over the hotel. 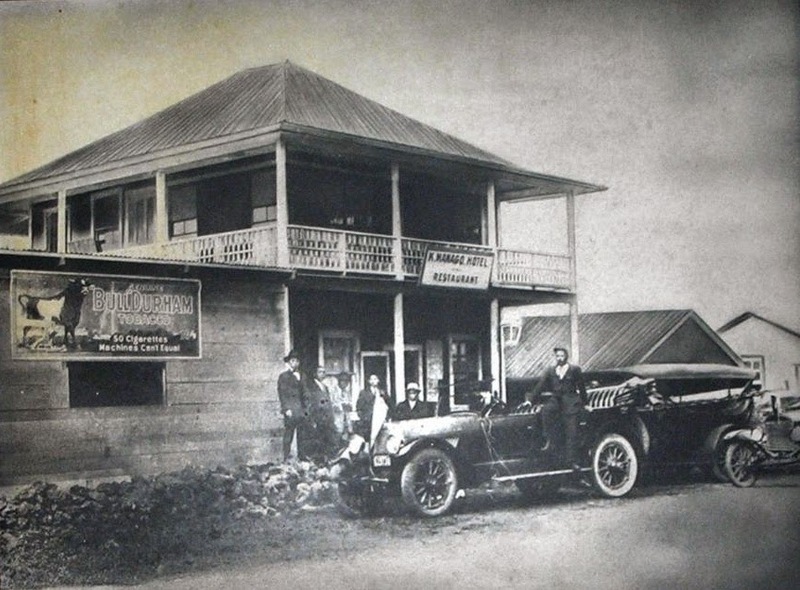 Kinzo and Osame never dreamed that the original hotel with two cots plus futons would turn into 64 full rooms, and a new three-story wing overlooking Kealakekua Bay and the City of Refuge. Manago Hotel has 42 rooms with private bathrooms, and 22 rooms with shared bathrooms. Rooms may be reserved for daily, weekly or monthly rates. 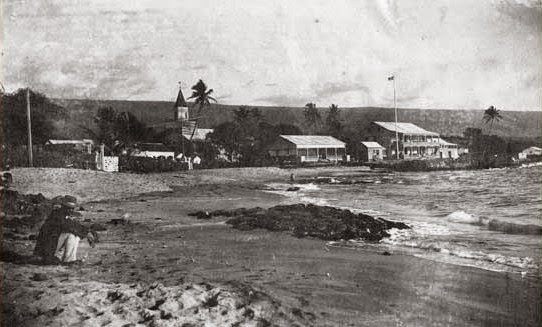 The image shows the Manago Hotel in the early years. In addition, I have added other images in a folder of like name in the Photos section on my Facebook and Google+ pages.